Being a photographer comes with a lot of perks. You get to meet amazing people, go to see really fun places and we get to snuggle sweet newborns. 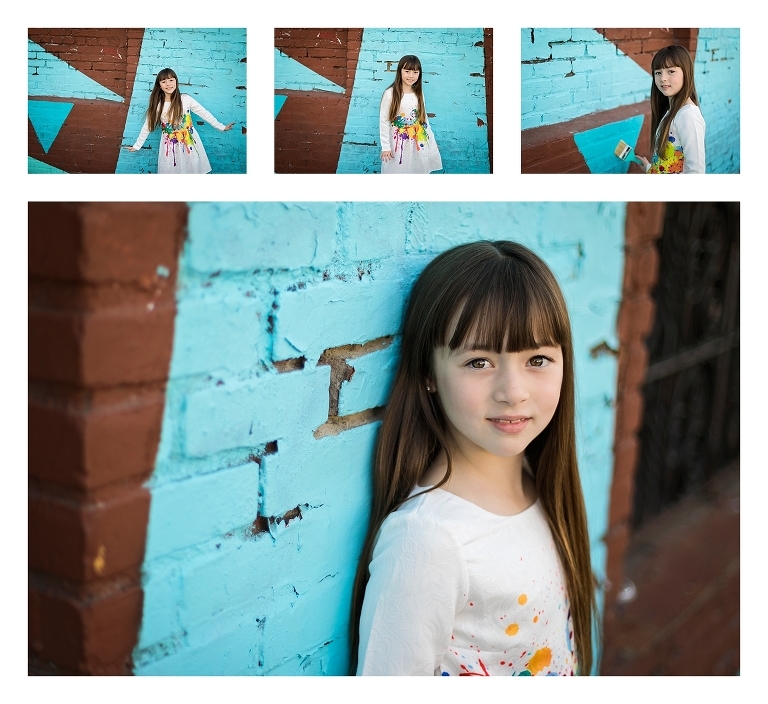 For me though, the best perk is getting to capture beautiful images of my own kiddos and family. My little dancer, Addie turned 7 this week and decided she wanted to have a painting party. 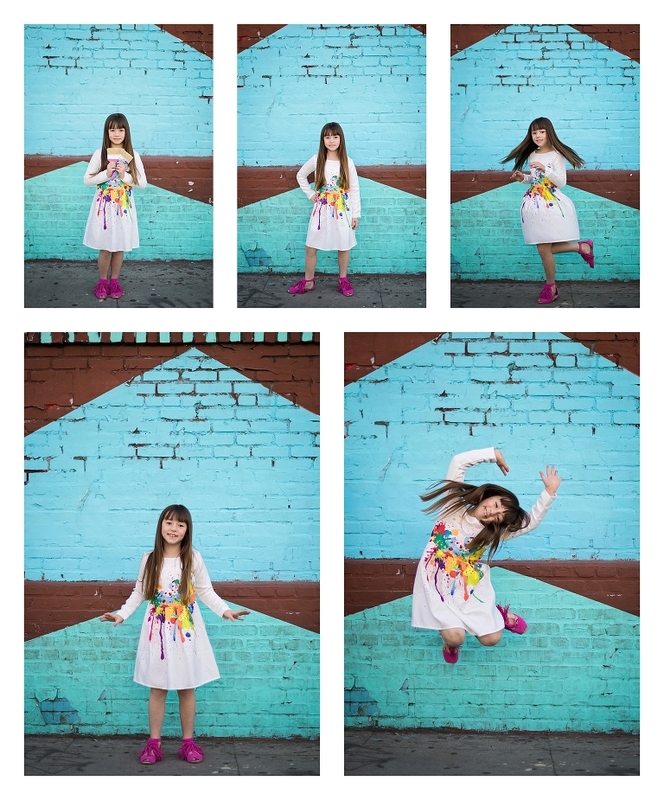 We decided to take some fun birthday portraits to capture her turning 7 and to display at her party. My husband found some fantastic walls in downtown LA and off we went! Not only was it fun to explore and take pictures, but it was so much fun to look at all of the original brick and old buildings. It really makes me appreciate having LA as our backyard.